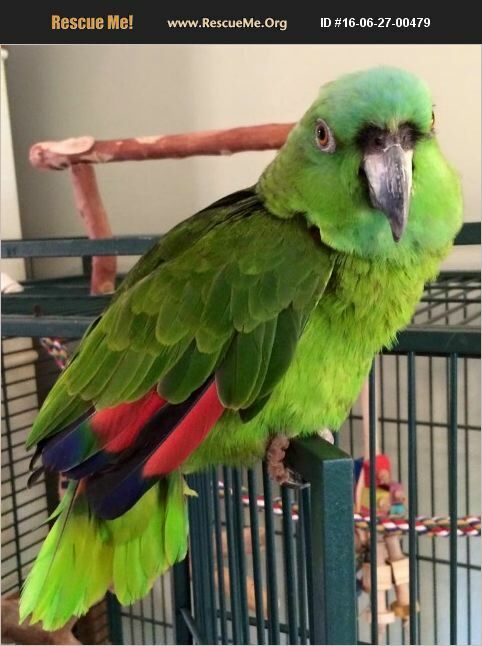 Meet Frederica, a 33 year old female yellow-nape amazon (possibly a hybrid with a blue-fronted amazon). She initially came to CTPR in 2016 and we weaned her off a sunflower seed-based diet onto natural pellets, fresh fruit and vegetables and whole raw nuts. She was adopted in 2016, and very well loved and cared for. But due to unforeseen family circumstances, she had to come back to us. She is settling in nicely and is hoping to meet her new family soon! Frederica's adotion fee is $300. Amazons live for 50+ years and are native to Central and South America.